Avery got a double ear infection almost two weeks ago. It was miserable. We got antibiotics. Apparently they didn’t work. Yesterday he spiked a fever again and it was deja vu. 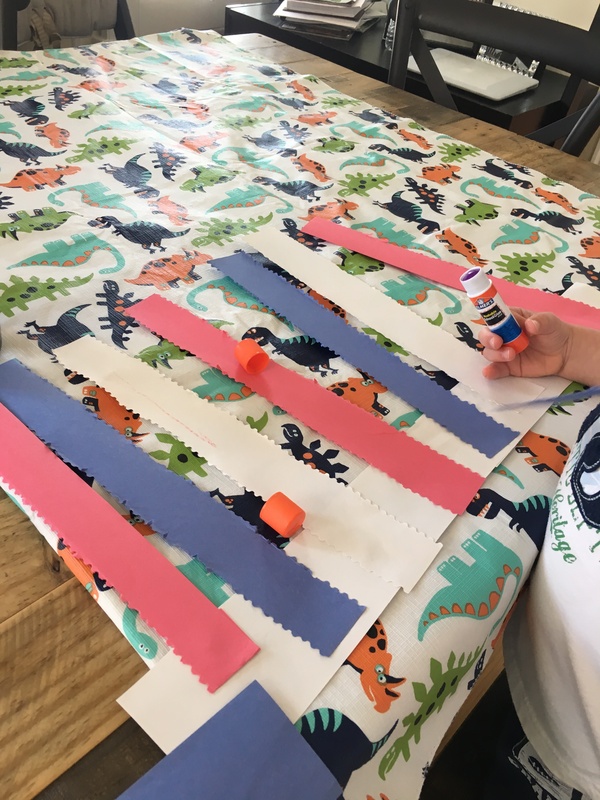 Gone were the day’s plans of running errands while Avery went to camp…it was time for plan B. We went to the Dr. bright and early to find out I was in fact correct. One ear had cleared up completely, but the other was only about 80% cleared up. I had the choice of doing another round of more intense antibiotics or a shot of antibiotics. I chose option 2. I told Avery that they needed to put a little medicine in his leg and that it would be ouchy for a little bit, but it would make him all better. He looked at me and said “I don’t think they need to do that.” I said, no, honey, they really do. The nurse came in, and gave him the shot…during which he looked at me like “WTF mom…how could you let them do this to me?!? !” and then proceeded to cry hysterically in the most adorably heartbreaking way possible. I snuggled him up and rocked him for about 20 minutes until he calmed down and we made a plan for the day. He obviously wanted to go skateboarding…I vetoed that and suggested we do some fun arts and crafts. 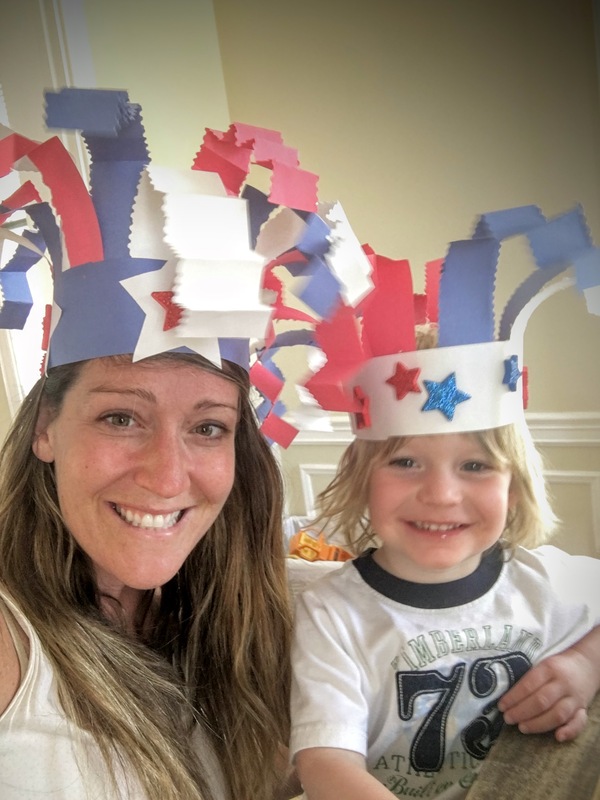 Since the 4th is coming up this weekend and it would have been “4th of July” themed week at camp I figured why not get our festive crafting on. 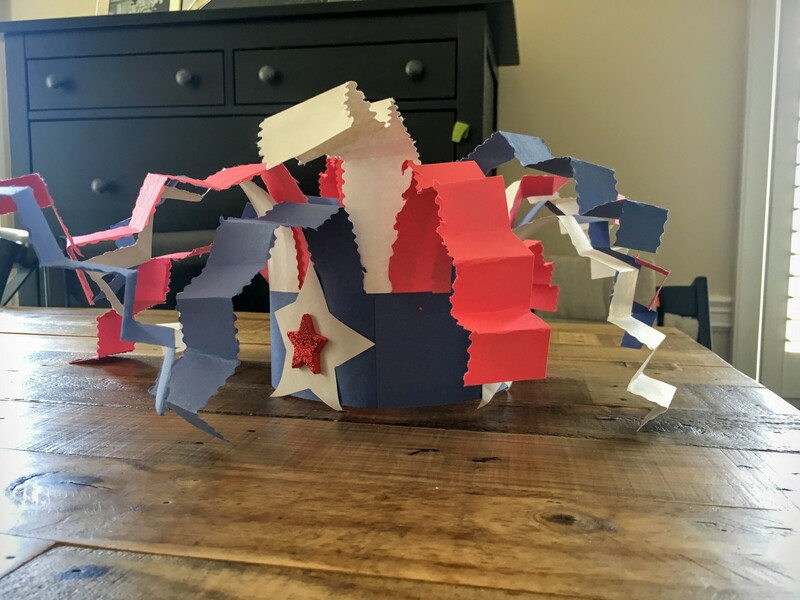 I looked up some fun all-american artsy fun and found some really great ideas. 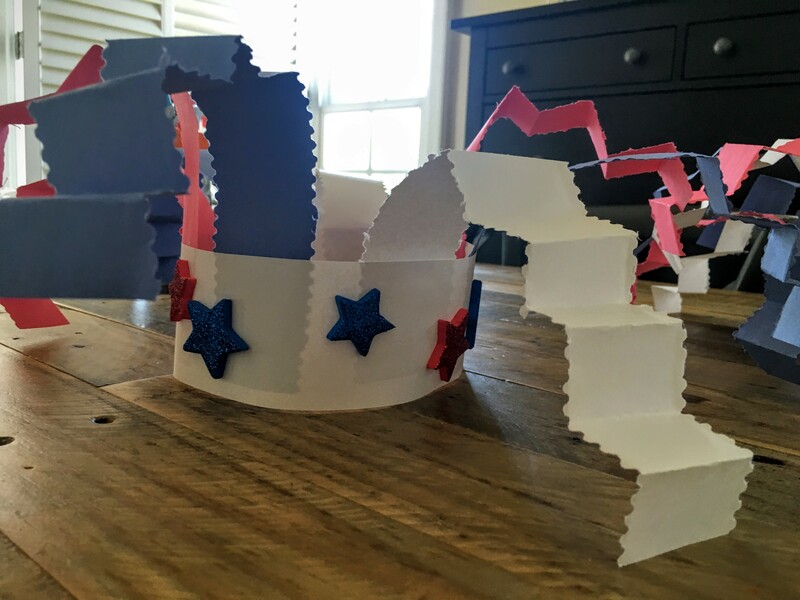 We ultimately made these fun hats mainly because we had all the things needed to do it – glue, paper and scissors. 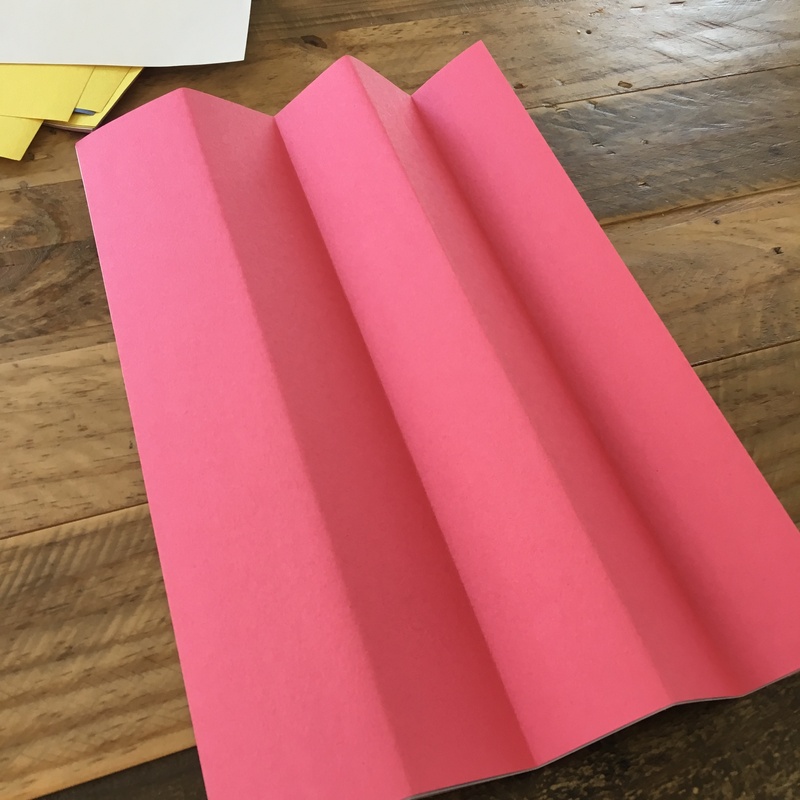 Step 1: Accordion fold the paper length-wise into six 1-2 inch sections. 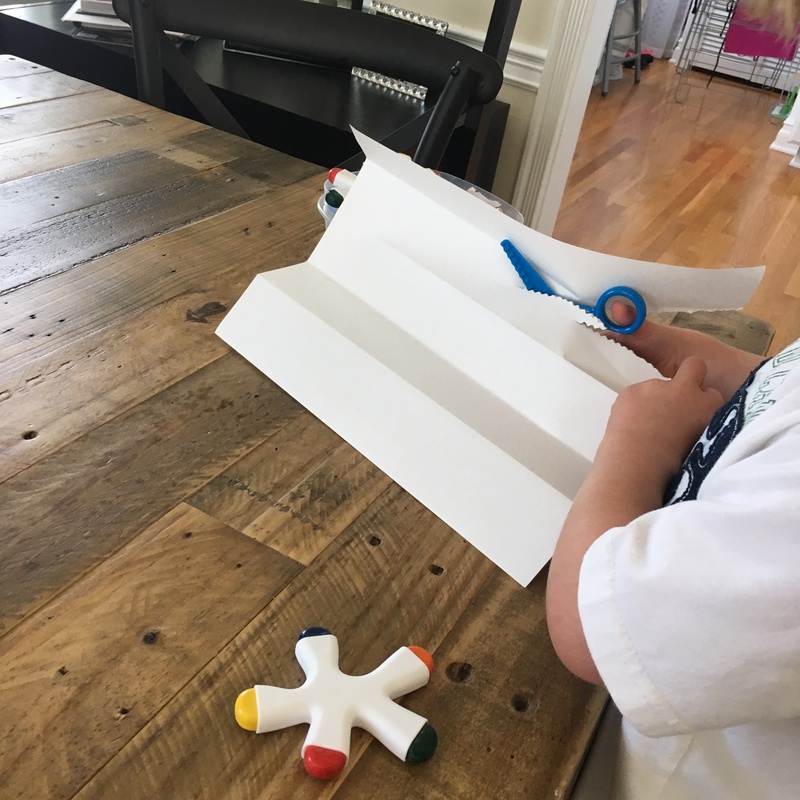 Folding the paper gives your little ones “guide lines” to cut along. 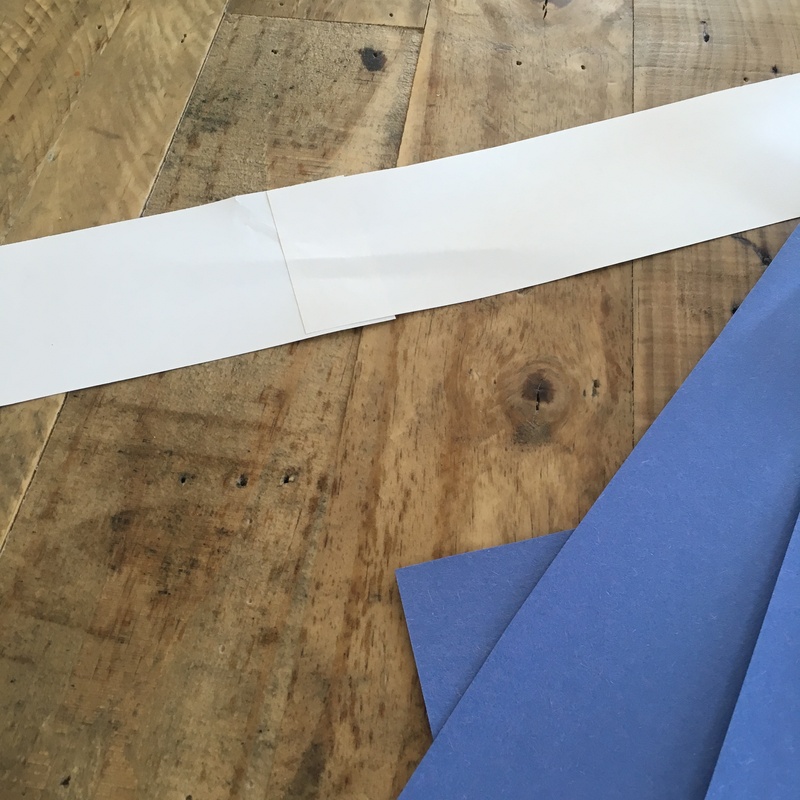 Step 2: Cut the paper along the folds. 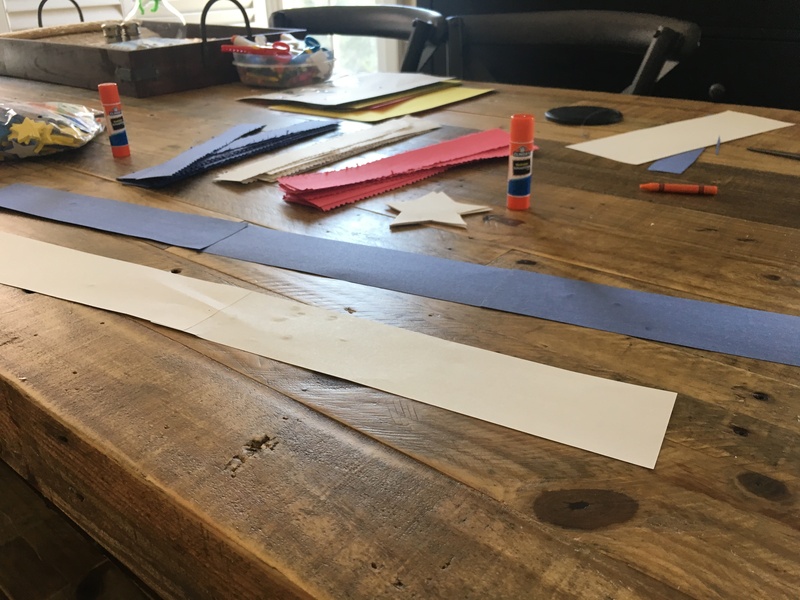 We used squiggly safety scissors which added a little pizzaz to our strips of paper. 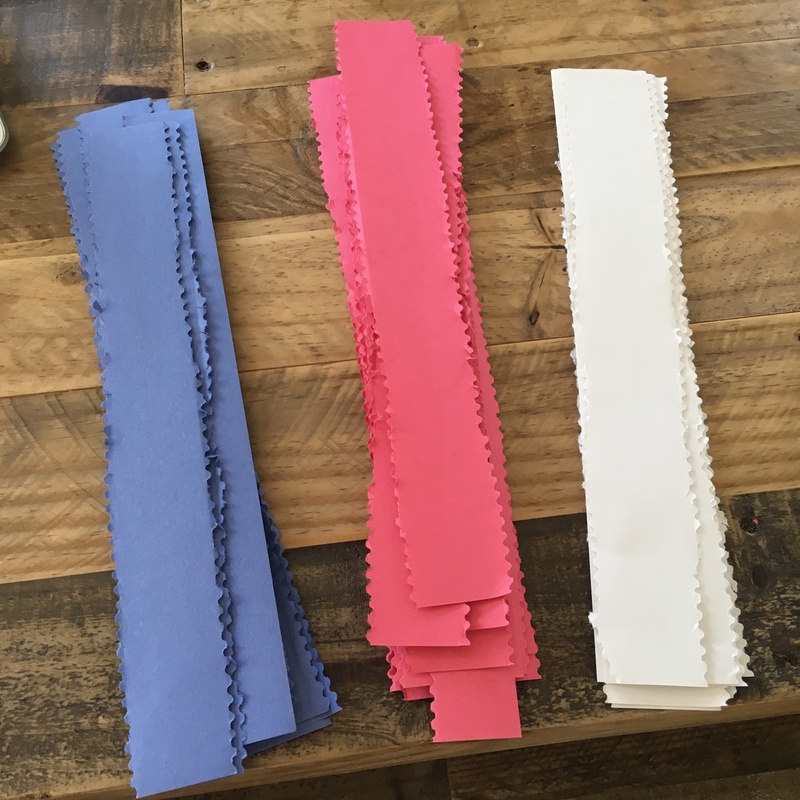 Step 3: Cut your color choice of paper into the “head band” – most kids will need two pieces glued together…adults may need 3 depending on the size of your noggin. Step 4: Cut out star-shaped pieces of paper. I folded the paper into 1/6 of its size and hand drew a star on it, then cut the folded paper, yielding 6 stars. 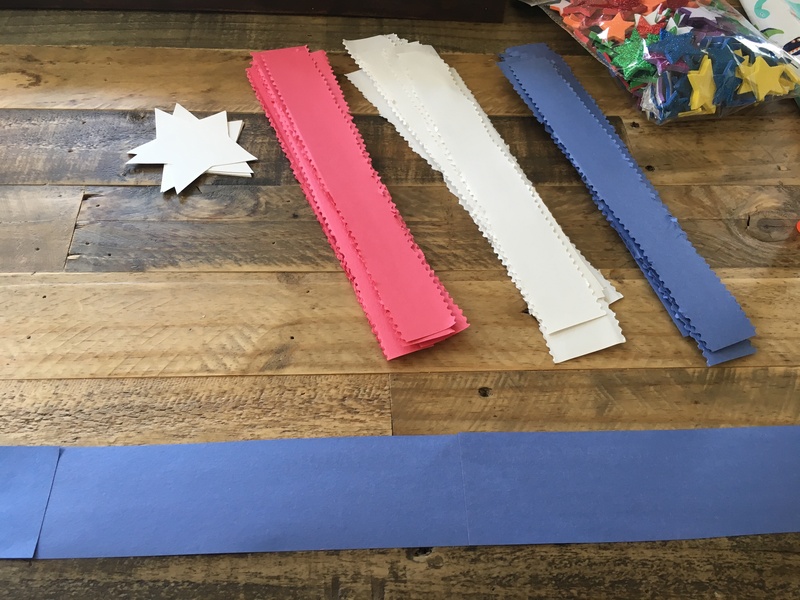 Step 6: Flip the band over and glue on the stars. Step 7: Add stickers as desired. You can also let your little ones color the paper or put glitter on it for even more festive fun. Step 8: Measure the headband around your kiddo’s head and glue it “closed. Step 9: Accordion fold the paper strips leaving 3-4 inches unfolded at the bottom so that the strips bounce out away from the center. Step 10: Put them on and wear with insane amounts of patriotic pride!